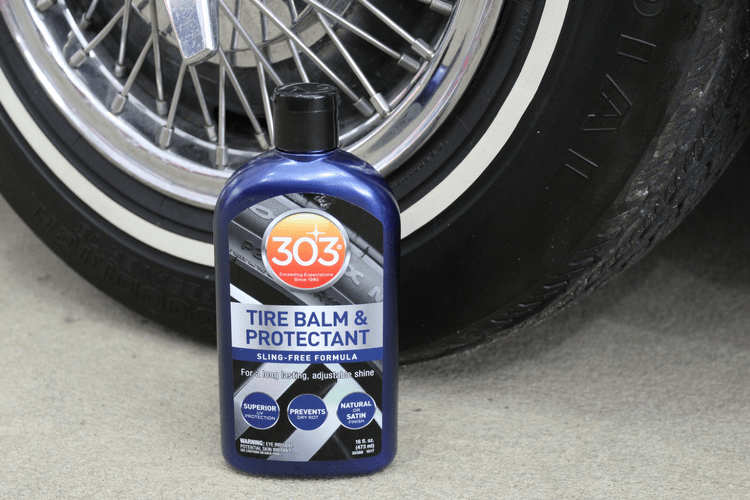 303® Tire Balm & Protectant is a hand applied tire shine product that allows you to enjoy either matte OR glossy finish, depending on how many coats you apply. One coat for a matte, new tire look, and additional coats for a glossy finish! 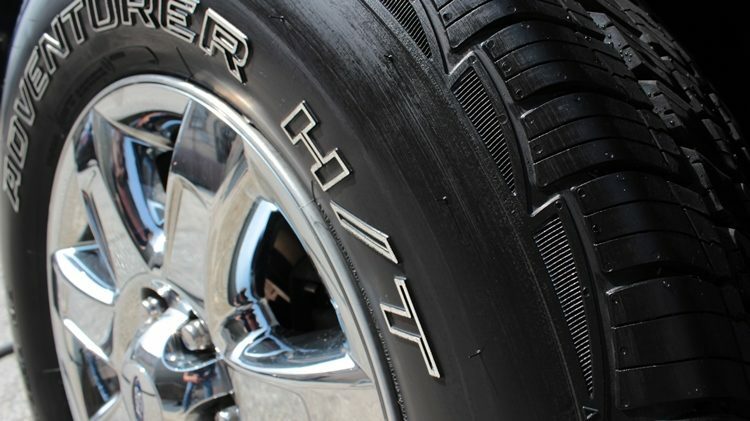 This product provides superior UV protection to prevent the tire from fading and cracking and prevents tire rot (dry rot), which can occur when your vehicle sits for long periods of time. This product dries quickly, and will not sling product up onto your vehicle’s paint once you drive your car after application. Shake product well before using. 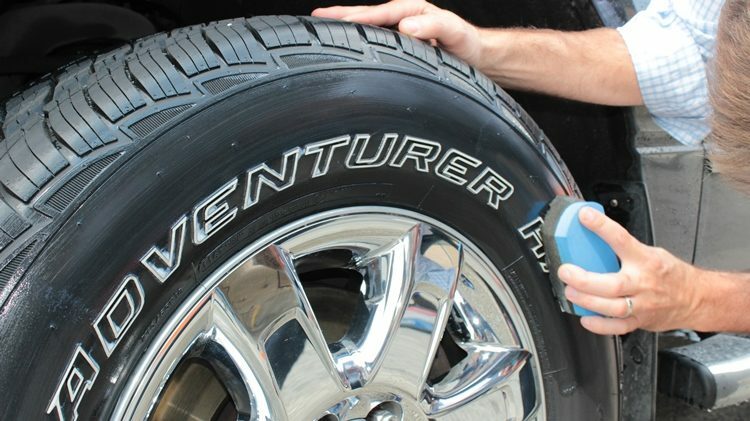 Apply on a COOL, CLEAN tire. 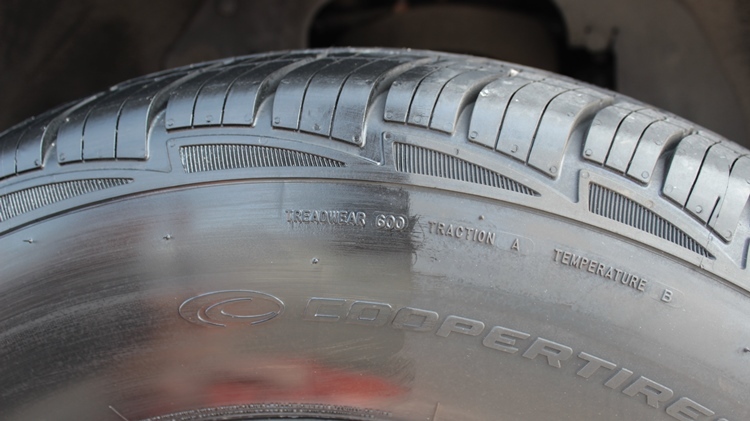 Using an applicator of your choice, spread product evenly across tire, let dry completely. Apply one coat for a matte finish. For a shinier finish, apply a second or third coat, with a 10 minute waiting period in between coats. Wipe off any residual that drips onto rims. If any streaking occurs, re-apply to that specific area. 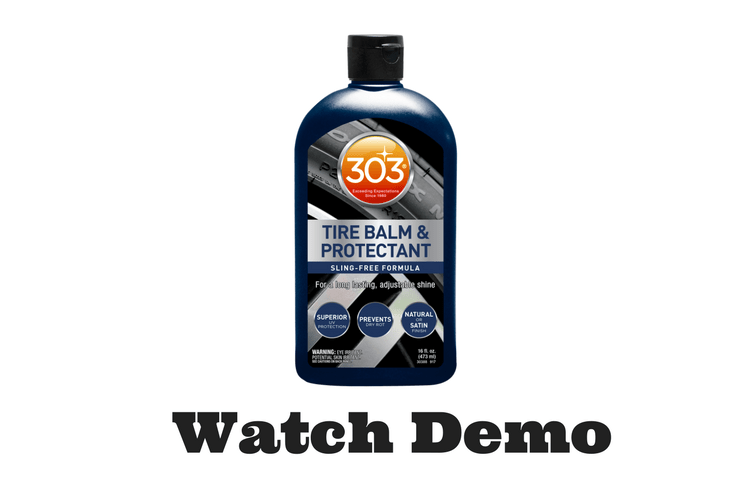 303® Tire Balm & Protectant is rated 4.8 out of 5 by 6. Rated 5 out of 5 by cr500rider from Good Product Applied product to my 2 week old Nitto Ridge Grapplers using a sponge. Product is fairly thick and pleasant smelling. Product goes on quickly in areas where the tire is smooth but the Nittos are fairly aggressive and took a while to get complete coverage. Only applied 1 coat since I wanted the matt look. Very pleased with the results. Its only been a week but the tires still look great. Also tried the product on my wifes car. Turned the tires a nice matt black. 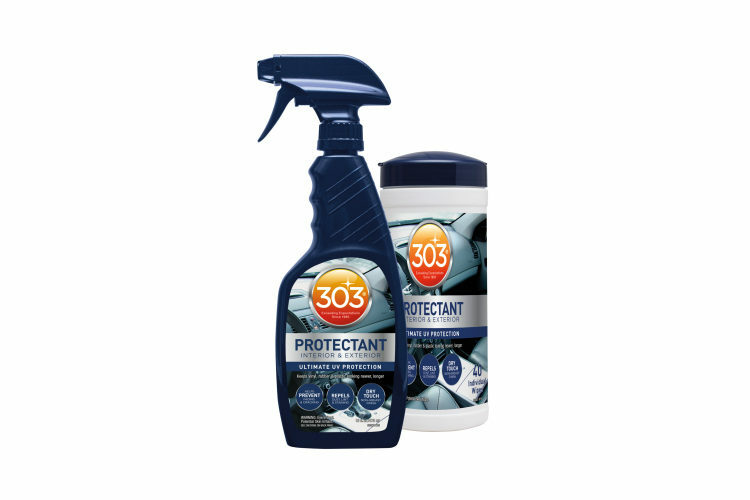 I have used the original 303 protectant for years and found it to be superior to any other product I have tried. Hopefully this product follows suite. Rated 4 out of 5 by Speed from Tire Balm What I don't like about similar products is that they leave a phony looking sheen on your tires. Not the case here the look is very natural and clean. Rated 5 out of 5 by Klasse Act from NO SLING and adjustable finish...and durable, usua How many times have YOU applied a tire product in the past to have it sling all over the side of your ride, yeah, been there, done that, well, in the long distant past! Since then there's been several products to come out to eliminate this, the 303 Tire Balm is one of them, but it has more features than this. 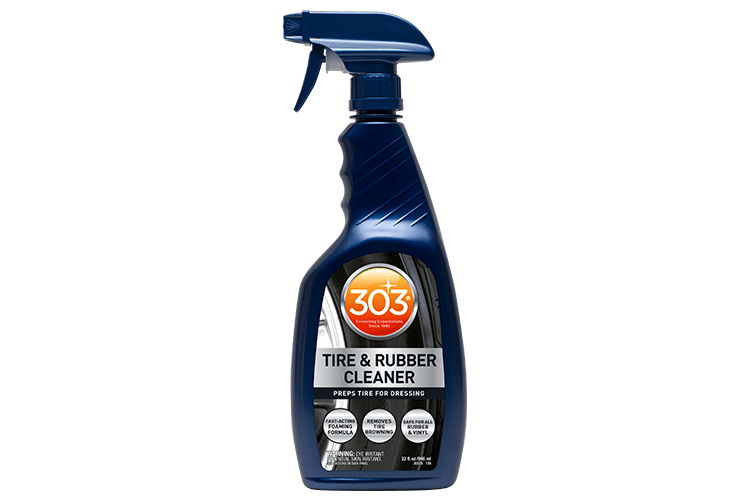 It's important to properly clean the tire first and foremost, get it clean of everything so the 303 Tire Balm clings to the rubber and penetrates, the 303 Tire and Rubber cleaner is a fine choice as it cleans almost on contact, using a brush will get you the deep clean you need. 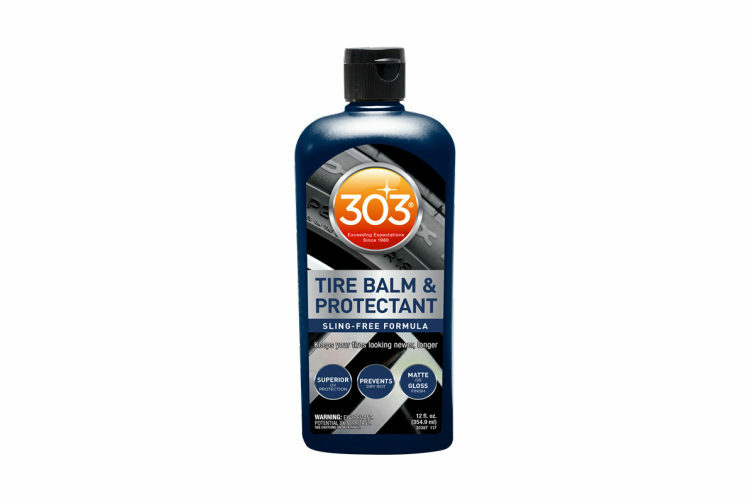 Once the tire has been rinsed, dried and given some time to air dry it's time to apply the 303 Tire Balm. This product has a decent consistency, so apply a decent amount to your foam applicator. The first coat may or may not get absorbed into the tire right away, so it's a good idea to consider the first coat as a base coat. Give the product 10-15 minutes to penetrate and/or dry and then inspect. At this point the tire will be dry to the touch and it's time for the 2nd coat, apply this coat and give it the same 10-15 minutes to dry. For most people this will give you the look you desire but for more gloss additional coats are necessary, you will also get added durability as well. At this point you'll drive and enjoy your ride as normal, driving in all conditions but because all tires have various compounds and silica in them, your results will vary. I've applied this product to my tire and in one rainstorm had it wash off completely, leaving the tire brown. Then other times, same tire, it holds up in the rain and it's the same bottle even, leaves me scratching my head for sure. Laying down a good base is a good idea, no doubt about it. Even if the product looks good after the rain, when you go to wash your ride, give the tires a wash with your carwash soap, dry the tires and apply an even, single coat, alot shouldn't be needed. Oh yeah, btw, keep your applicator in a Zip-lock bag. This not only keeps things clean but keeps what's in the applicator already there and not drying out, a top tip if I do say so myself. In closing, this product leaves the tires looking great, never ever that "used car lot look", is easy to apply and NEVER EVER SLINGS, plus its durable, in most cases and is competeivly priced. Rated 5 out of 5 by Scorpio from Does a good job. Does a good job on my tires and they look great. I only use one application, because I don't like "shinny" tires. Rated 5 out of 5 by sure1 from tire balm - approved tried this out on my older tires and was very impressed with the ease of use and the results.